Ben Meadows a founding member of Hunt With Heart since its inception in 2012 has been involved with youth and outdoor organizations his entire adult life. He graduated with a degree in Bioenvironmental Science from Texas A&M in 2011 where he served as President of the men’s fraternity, Keeping Under Christ. Upon graduation Ben became the Director of a Christian student ministry called I Am Second. His outdoor career started as a deckhand on offshore fishing boats in Port Aransas, Texas and then in Sitka, Alaska. In Alaska he also worked in cooperation with Alaska Fish & Game on a Salmon Population and Lake Enhancement Project with the Sitka Ranger District of the United States Forest Service. He made a move to the hunting industry as a ranch hand at Beaver Creek Ranch before getting a full time wildlife research and hunting guide position with Sumsaren Safaris in South Africa. Ben continued his passion for wildlife conservation and guiding hunts to the MT7 Ranch near Breckenridge, Texas. Ben made his transition to the business world in 2014 when he started his own financial advisory practice with some close colleagues from college. 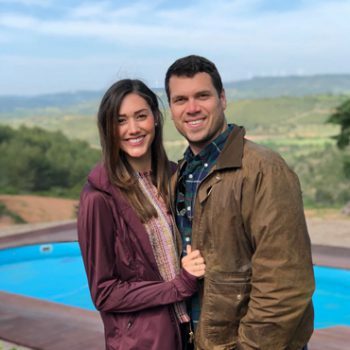 Ben married the love of his life, Madison, in 2017 and they currently live in Austin, Texas.